Walking on hot coals? Not so much. Torching calories with a steamy Bikram class? I'll pass. For years, I've been invited to try "innovative" treatments. A few years ago, I would jump at the chance to try the anti-cellulite treatments that involved electric currents. Someone would zap me and measure the girth of my thighs for results. These days, I'm much more into the comfort genre of beauty. Plush robe, cucumber water. . .get the heavenly picture? 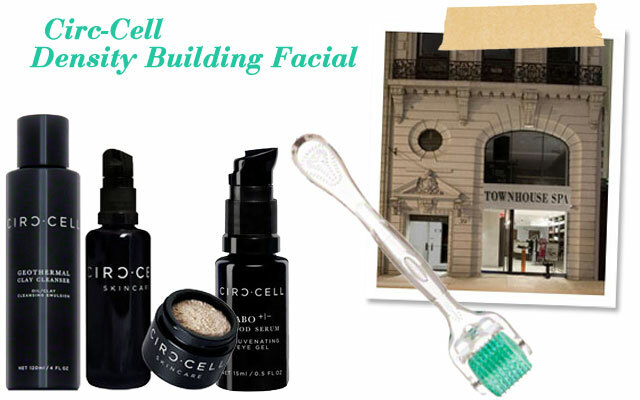 When my friend Jen Bickerton of JJB Public Relations (one of the best beauty publicists I've ever known) invited me to try a new Circ-Cell treatment at Townhouse Spa, I figured it was worth a try. But then I heard the term "micro-needling." OK, Polly, be brave, said the voice in my head. If those glowing Hollywood types who reportedly get this treatment can tolerate it, why can't I? I considered the needles I've encountered with my dermatologist, Dr. Fredric Brandt. But those followed a half-hour session with numbing cream to sedate my skin. She ushers me downstairs to a well-appointed treatment room, complete with a heated massage table, plush linens and chill-out lighting. Claire explains what this 80-minute skin treatment involves. During the first step of Circ-Cell's Density Building Facial, Claire cleanses my skin and gives me a lymphatic drainage massage using Circ-Cell Geothermal Clay Cleanser. It feels like soft, steady sweeping motions toward my neck. She massages my forehead and along my jaw, then outwards around my nose. As relaxing as this feels (it is quite pleasant, I must say), I know there's a greater purpose. The lymph nodes along the jaw release fluids into the circulatory system. By stimulating drainage, you can reduce fine lines, puffiness and dark circles. Next, Claire applies Circ-Cell Pro Dew to lift and sculpt my skin with the brand's blend of lactic acid (this balances the skin's pH), camphor (this kills bacteria on the skin) and Canadian willow herb to help even out skintone. Why would you want to have needles rolled over your face? you might ask. Good question. But I have an even better answer. Now that my skin is primed, Claire moves on to the power portion of the treatment. She applies a mask of Circ-Cell REM Masque Serum and Circ-Cell ABO Blood Serum. These products, when used in tandem, give skin a potent dose of active ingredients (50 of them, actually) ranging from amethyst dust to tourmeline powder. And now we get to the point of the treatment (pardon the pun): needles! 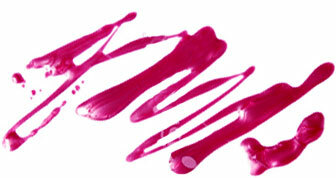 Claire says she will demonstrate an abbreviated version of the micro-needling, because my skin is so sensitive. But when she starts, the micro-needling roller is so gentle, I barely notice the slight buzzing tickle of the device. So I get the unabridged treatment. Claire slowly and gently rolls the tool across sections of my skin. The tool is connected to the Circ-Cell Transdermal Delivery System to administer power. Why would you want to have needles rolled over your face? you might ask. Good question. But I have an even better answer. The teeny-tiny needles slightly puncture the surface of the skin. Not enough to bleed or even hurt. But enough that the body goes into repair mode to heal the micro-injuries by regenerating cells to fill the areas with elastin and collagen. And the happy ending to this story? Rejuvenated, youthful looking skin.